Tomorrow we launch Axios Autonomous Vehicles, a weekly analysis of autonomous tech, and its impact on cities, policy and the economy. It'll be worthy of your time — sign up here. Objections to Google’s possible re-entry into the Chinese search market are uniting Republicans, Democrats and some of Google's own employees in a rare alignment against the company, Axios' David McCabe writes. Why it matters: Google abandoned China in 2010 rather than censor its search results to meet the Chinese government's wishes. Any effort by the company to return to this gigantic market stirs up ethical questions raised by that history. The big picture: Some Google controversies, like its role in Russian election interference in 2016, have upset lawmakers. Others, like a company contract with the Defense Department, have outraged employees. This one has done both. At the Googleplex: Employee discontent has burst into public view since a report this summer that Google was pursuing a project under the name Dragonfly to look at creating a censored version of its search engine for China. A list of employees who have quit over the matter is circulating internally, per BuzzFeed News. One of them has spoken publicly about his decision to leave. On Capitol Hill: Lawmakers wrote a letter about Dragonfly to Google last month, and frustrations with the company are high because it wouldn’t send a senior-enough executive to a Senate Intelligence Committee hearing on election meddling. “I think the employees should be critical,” Intelligence Committee Vice Chairman Mark Warner (D-Va.) said. Warner added that creating "a censored search engine, doing joint research with AI when most of the companies in China are totally co-opted by the Chinese government" doesn't seem to meet the company's own standards. This is just one of several controversies over which Google faces growing pressure. Some lawmakers are also frustrated at Google’s decision not to renew a contract with a Defense Department program known as Project Maven. Some employees had protested against that project. “Instead of consciously compromising American ideals and values, Google’s executives should reject Beijing’s repressive censorship and reconsider their decision to stop working with the U.S. military on Project Maven,” Sen. Tom Cotton (R-Ark.) said in a statement. It also has looked to calm Congress’ fears. 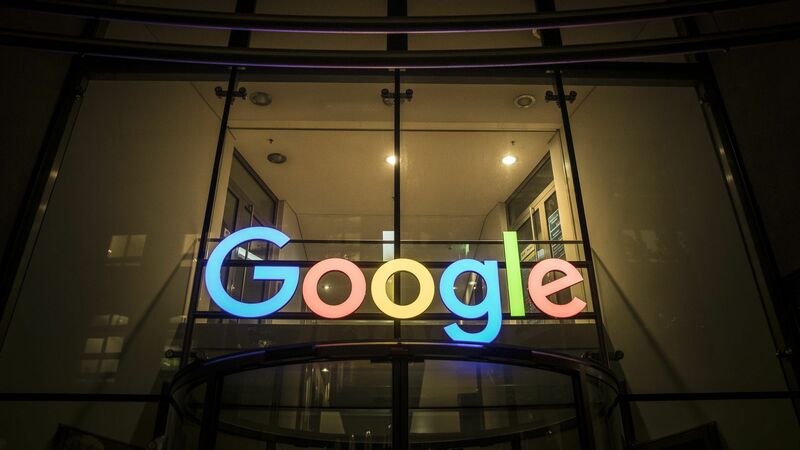 “We are approaching these issues deliberately, and whether we would or could release a search service in China remains unclear,” Google CEO Sundar Pichai said in a letter responding to lawmakers last month. The bottom line: Increasingly, it's looking like Google’s moment in the D.C. hot seat. With Congress' eye on China thanks to concerns about cyber espionage and heightened trade tensions, Google's new China moves can only raise the temperature. Digital ad campaigns optimized by machine learning tools outperformed campaigns managed by humans over the course of one month, according to a new study, Axios' Sara Fischer reports. Why it matters: Although advertising has traditionally been a creative industry, stakeholders — like agencies, ad tech firms, and even brands — are pushing the effectiveness of their automation and machine learning tools, to lure clients who are focused on cost-efficient, data-driven ad campaigns. The details: The study, which is sponsored by one of the world’s biggest ad firms, its digital ad agency and a programmatic ad tech company, suggests that humans and machines need similar exposure to an ad campaign to learn, absorb patterns and predict incomes. Given that same input, the machine-learning programs performed better than humans at optimizing the campaign — basically, putting the most effective ads where they will have the most impact. That bodes well for experienced managers, but potentially not well for people who perform those easily automated tasks. It turns out scooter rentals are popular: Lime and Bird have each already crossed the 10 million ride mark, with Lime recently reaching 11.5 million, Axios' Kia Kokalitcheva writes. For comparison, Lyft had amassed only one million rides a year after debuting in August 2012. It took about 17 months for Uber to reach 10 million UberX rides in Australia alone (2014–2015). Meanwhile, yesterday Lime appealed San Francisco's decision not to award it a permit to participate in its pilot program. There’s debate on both sides of the Atlantic as to whether Amazon's mountain of data gives it an inherent — and unfair — advantage over rivals. But critics may be looking at the wrong thing in the data, Axios' Erica Pandey writes. Driving the news: Margrethe Vestager, the EU's top antitrust regulator, Wednesday launched a probe of whether Amazon is unfairly monopolizing data in order to outsell rivals. Go deeper: Read Erica's full story. The AI Summit ends today in San Francisco. I give you the latest from novelist Robin Sloan ("Mr. Penumbra's 24-Hour Bookstore," "Sourdough"), a short story with a long title: "Proposal for a book to be adapted into a movie starring Dwayne The Rock Johnson."